Remember the days of swimming in the pool pretending to be a mermaid? 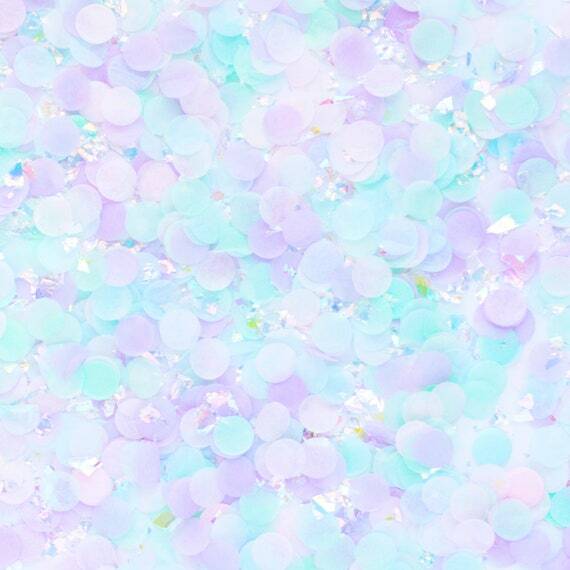 Well, we've pressed and bottled that up and created our Mermaid Confetti. So blow some bubbles and toss confetti around for that magical feeling. We promise we won't tell you still pretend to swish your tail in the pool once in a while. It is critical that you include your need by date in the message box at check out. Please check the shipping & policy tab for processing time. Processing time does not include shipping time. Our flat rate shipping is 5-10 business days and our priority shipping at check out for 2-3 business day (including Saturday). Please contact me for rush order inquiries.